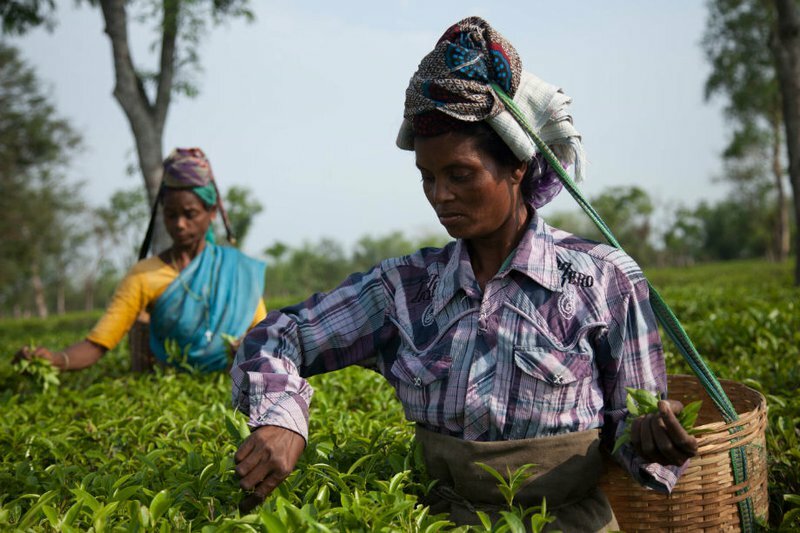 World Bank investment on Assam’s tea plantations: hearing the voices of workers? The forthcoming release of a World Bank investigation into rights violations of tea plantation workers in Assam represents an incredible achievement for communities who have raised their voice against formidable odds. The Assam tea industry produces half of India’s tea and employs nearly 800,000 workers. Just a few companies dominate the landscape, with Tata Global Beverages, McLeod Russel and Unilever especially powerful. Tata own almost half of Amalgamated Plantations Private Limited (APPL), a further 17% of which is owned by the International Finance Corporation (IFC) – the World Bank’s private sector arm – which invested $7.87 million in the company in 2009. In accordance with its dual mandate of reducing poverty and boosting shared income equality, the IFC aims to implement a sustainable ‘worker-shareholder’ model. In theory, when workers become shareholders, they gain decision-making power in a company’s operations and lift themselves out of poverty. Yet in this case, seven years on, not only has the IFC investment failed to yield meaningful changes for workers, but APPL continues to breach a number of national laws (most notably the Plantations Labour Act, 1951) and is expected to be found in breach of the World Bank’s own standards. This failure should be read against the systemic barriers that tea workers face in asserting their rights. The appalling living and working conditions they endure in Assam have been well documented. The majority belong to adivasi (indigenous) communities forcibly brought to Assam under British rule. Their history has been marked by ethnic segregation, a lack of basic services, and illegal wages, which underpin some of the country’s highest maternal mortality and malnutrition rates. However, a less documented yet crucial factor underlying these exploitative conditions is the lack of freedom of association and local remedies available to workers. While there are several unions offering membership in Assam, only one union – the Assam Chah Mazdoor Sangha (ACMS) – is recognised by the state as having to the right to negotiate with the tea industry through collective bargaining agreements. ACMS’ dominance stems from its close relationships with both tea plantation management and the political establishment. Yet it has a clear track record of undermining workers’ interests. Most notably, it consistently allowed cash wages to be set at a rate well below the living wage. The current wage agreement negotiated between ACMS and the tea industry is Rs. 126 per day, or around £1.4. This is far below the legal minimum wage (Rs. 240 per day, or £2.75), and below the wage necessary for a worker to lead a life of dignity, estimated in 2014 at Rs. 330 or £3.78 per day. Additionally, several workers have complained that ACMS membership fees were deducted from their wages without consent. Fulfilling freedom of association for Assam’s tea workers will require ensuring more pluralistic and democratic worker representation, allowing other existing unions to take part in the wage-setting process, and ensuring access to local remedies for addressing labour violations. The lack of these conditions led to the filing of a complaint by three local organisations working for the welfare of tea labourers to the IFC’s independent accountability office, known as the Compliance Advisor Ombudsman (CAO). The CAO is a special office that receives and investigates complaints from project-affected people alleging non-compliance by the IFC with its social and environmental performance standards which, in theory, govern its investments. In the case of APPL, the complainants pointed to violations of two IFC standards. Firstly, the complainants cited concerns about labour rights violations, including long working hours, poor sanitation and health conditions, and a lack of freedom to associate. They questioned the worker-shareholder programme, contending that many workers were pressured into buying shares, often without proper information about the nature and risks of investment. Secondly, the complainants argued that the IFC violated its standard on Indigenous Peoples, claiming that APPL threatens the adivasi cultural identity by failing to engage workers as partners in development. They surmised that the cumulative effect of APPL’s actions is to ensure that generations of adivasi workers remain dependent on the tea plantations, thus perpetuating historic marginalisation. The upcoming release of the report marks the culmination of what has been a long and challenging journey. The CAO process has revealed barriers endemic to the tea industry, exposing the restrictions workers face when trying to assert their rights. For instance, several workers have faced retaliation for voicing their concerns to the CAO team visiting APPL gardens during the investigation process. Moreover, many plantation managers exert tight control over workers by restricting access to non-residents and non-workers, in violation of the Plantations Labour Act, 1951, which provides for open access to the housing areas. Following the media coverage triggered by the complaint process, access to the plantations has been further restricted. Workers who met with outsiders have been questioned and some threatened or punished with higher workloads. These restrictions have hindered the ability of workers and workers’ representatives to meet freely, for instance with the purpose of raising awareness about their rights under relevant laws and regulations. Curbing workers’ voices also runs against the purpose of a successful shareholder model, which seeks to see workers play a genuine role in decision-making. For this to be achieved, worker-shareholders would need to be informed about their rights as shareholders, including to participate and vote at APPL’s Annual General Meetings. The CAO report is expected to draw conclusions about whether the IFC’s due diligence obligations were met when it first decided to invest in APPL. The report is also expected to determine whether over the past seven years the IFC took adequate pro-active steps to ensure that APPL achieved compliance with the IFC’s performance standards. The report will be accompanied by an IFC response. Without binding powers, the CAO operates via persuasion, pressure, and ultimately good faith that the IFC will address its findings. After a three-year wait, the tea workers of APPL hope that their voices will be not only heard but reacted to meaningfully on the ground. Ultimately, however, we hope that the IFC will take a leadership role and recognise the need for change not only at APPL but systemically across the Assam tea industry. Such change will require rigorous enforcement of national labour standards, stronger (and plural) unions, and an industry that invests in its own labour force by providing access to decent healthcare, education, and housing. Needless to say, any reform must be driven by consultation with the communities. If nothing else, the CAO report serves as a reminder to the World Bank that fulfilling its mandate and lifting people out of poverty must always involve meaningfully listening to the voices of those concerned by its projects.